In many companies one of the worst things that we perpetrate is discarding our victories and highlighting our problems! Too often we are on to our next mountain to climb before we acknowledge those who have helped us reach the heights. We need to do a better job of adequately celebrating our victories and those who were accountable for them. The Thin book of Appreciative Inquiry describes the benefits of recognizing what you are doing right. More recently the book Switch emphasized the importance of highlighting “Bright Spots” as integral to discovering solutions. Strategic Disciplines quarterly meeting intends to correct this oversight. Many companies fail to set a clear course or vision for the next 90 days. Those who do seldom communicate vividly to the team what needs to happen and who is responsible in order for it to be achieved. By now I hope you can see how the meeting rhythms Strategic Discipline recommends fit into each other. 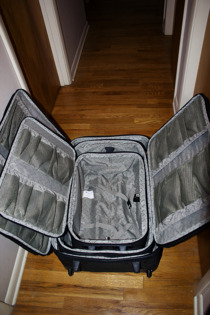 Just like that new luggage you bought that stores compactly, meetings should harmonize and fit together. Frankly without this system of meetings integrally meshing together the idea of meetings simply falls apart and becomes nothing more than an endless set of meetings parading to nowhere. Your Quarterly Meeting should highlight accomplishments by department or team, and allow your people to recognize contributions beyond their own department. The former is important to recognize achievement, the latter to help everyone realize their work isn’t in a vacuum and how important every contribution is. In addition it’s great to be recognized by someone beyond your own peer group. 10 - 30 Minutes - Top Victories - Share your personal top Victory or Accomplishment. 30 Minutes - Core Values – Provide stories of people who have lived company core values in the past quarter. 1-3+ Hours - Plan next Quarter – Review Annual Plan. 1 Hour - Quarterly Action Plans – Who, What, When, Resources Required. 20 -30 Minutes - Summarize and Commit. 2 – 3 Hours - Brainstorm Top Projects. Review Annual and Quarterly Plans. The length of your Quarterly Meeting will be determined by the number of participants, the size of your goals, issues you are facing and how much work you’ve accomplished in your annual meeting. We’ll discuss how meetings should fit together and more on the make-up of your quarterly meeting next blog.